Atlus are showing in the weekend in style with the next character trailer for upcoming Nintendo 3DS sequel Persona Q2: New Cinema Labyrinth. Today sees the arrival of Persona 4's well-off high-school student Yukiko Amagi. Super-smart, super-polite and also super-rich, Yukiko is till somewhat naive in the ways of everyday life for those who aren't living that silver spoon lifestyle. Regardless, she is fiercely loyal to her buddies in the SEES. 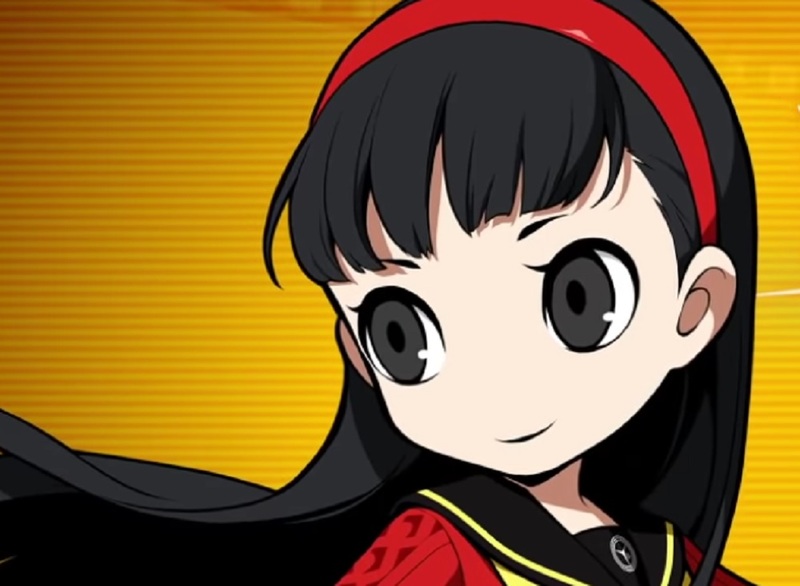 Protective of her pals in battle, Yukiko can always be relied upon to come through in a pinch, be it taking on swarms of enemies in battle, or serving up a delicious bowl of Mystery Food X.
Yukiko joins Persona Q2's all-star cast of characters, including Morgana, Ryuji, and Naoto, as well as Velvet Room assistants Theodore and Elizabeth. With crossover from two Persona titles, that's quite the roster for you to explore when Persona Q2: New Cinema Labyrinth launches in Japan, November 29, for Nintendo 3DS.